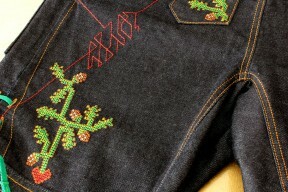 My friend from GEPPEBBA and I had this idea a year ago to design a X-stitch pattern for one of his commercial trousers. 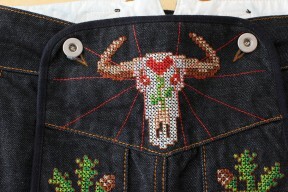 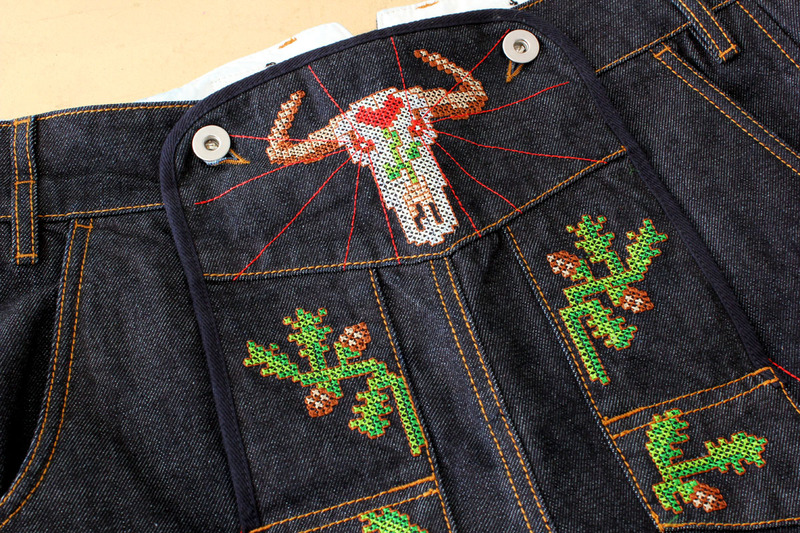 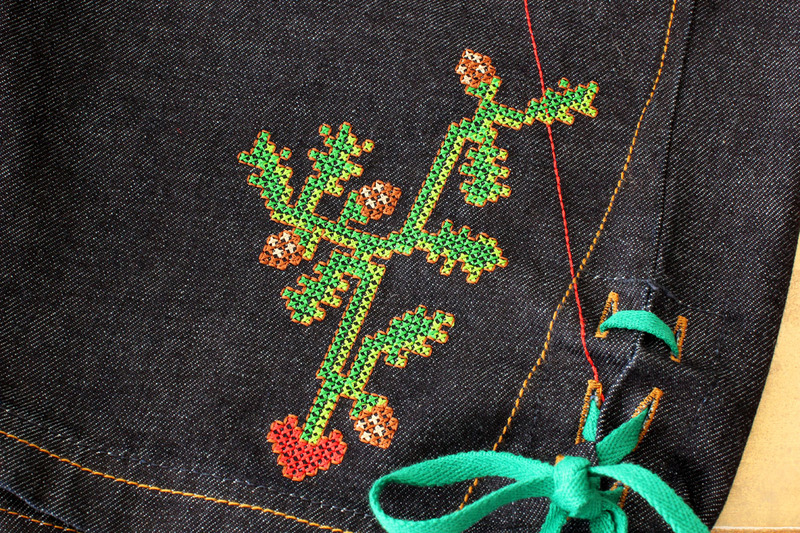 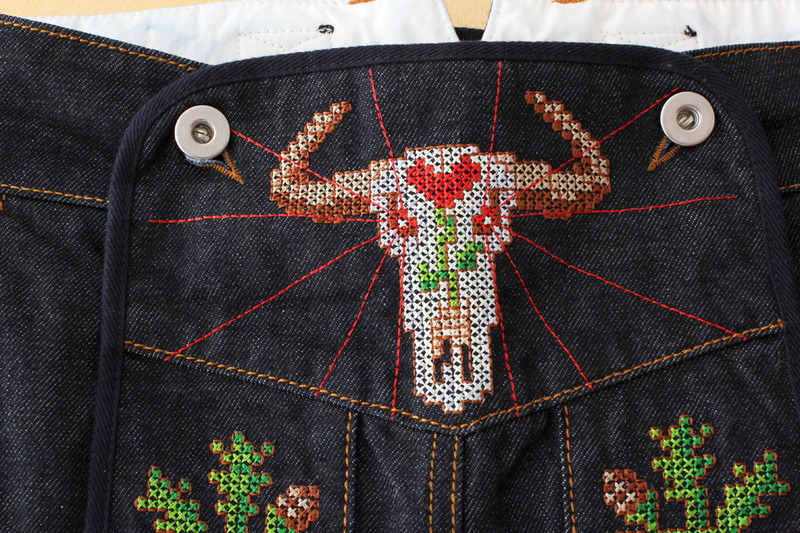 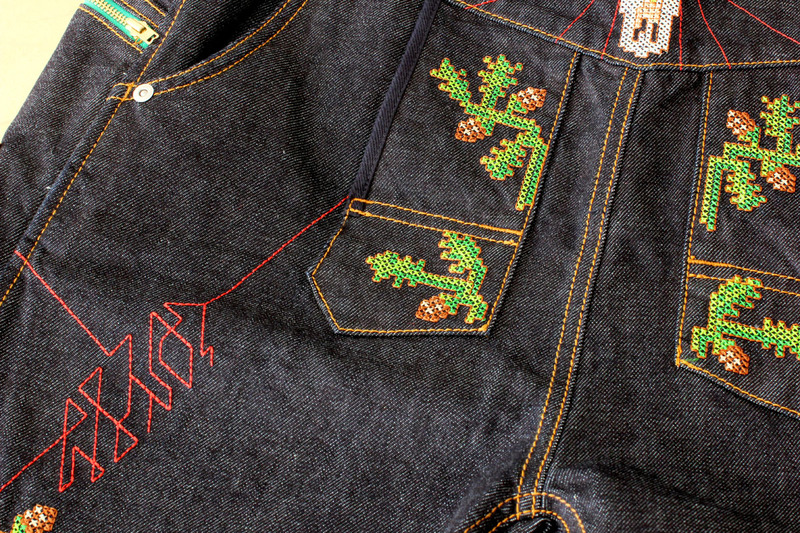 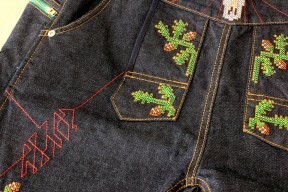 And here it is the very special edition of a X-stitch design of mine on this awesome denim shorts fitted like the traditional bavarian Lederhosn. 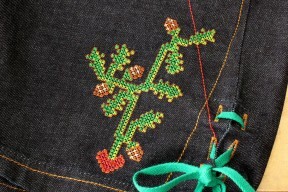 The WALDMANN !